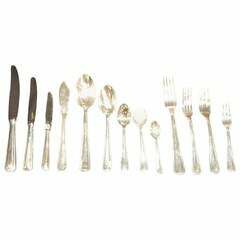 Twelve piece silver plated tea - coffee spoons set. Marked, this mark was found in many similar patterned items from the early 1900s-1930s. Sold in original box with dividers for each item, box marked Cholet. Patten unknown. No monograms, elegant Art Deco look. 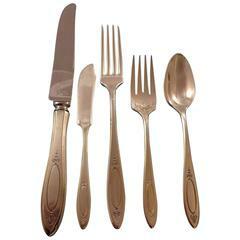 This set will enhance your service and delight your guests.